Bike Fit Studio have been quiet on the blog (ahem, since 2015)! However, we’re back writing about bike fitting in 2018 after moving to a new premises, and doing a lot of work on bike fitting in Ireland. 2018 has been extremely busy for us with bike fitting in Dublin, but also providing bike fitting on-location across Ireland. With that, we’re taking a small review of both 2017 and the first half of 2018. We’ve got some updates on what we’ve seen changing both for us as bike fitters, and for the bike fitting & cycling landscape in Ireland. Back in 2015, we had outgrown our premises in North County Dublin. We realized that in order to facilitate that many cyclists visiting, that many bicycles being brought in and out, and the many friends and families doing bike fitting together that we needed a bigger studio. When we moved, we got all of this. 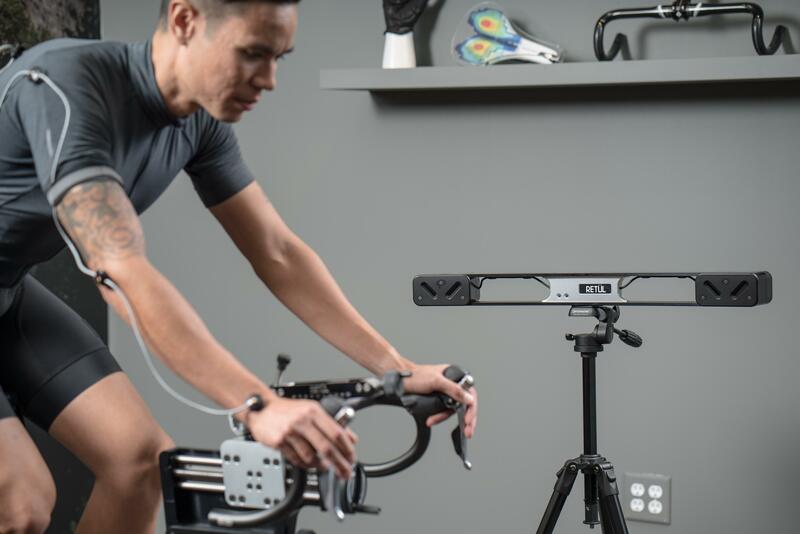 It has been the making of what turned Bike Fit Studio into the success it is today. That plus some of the most amazing cyclists who have supported us, advocated for us, and become friends to us. Thank you. All of these great improvements to our location are something we wanted to keep, and so when we needed to move again, we wanted to keep the same features. This is why we literally moved around the corner, and made us think of this scene from The Simpsons. We’re in essentially the same location. Instead of being in Unit 3 Block 4, we’re now in Unit 5 Block 3 of City North Business Campus. Better coffee for when friends/family sit in for each others bike fits! We love it, and we think you’ll love it too. Over the last 5 years, we’ve been doing a lot of bike fits. Even with over 50 years of combined cycling and bike fitting experience — we’re learning every day. It’s the beauty of life. With that learning, we’re building a whole new suite of services for bike fit studio. We’re not quite ready to announce them yet, while we finalize some new equipment and an exciting partnership. However, what I can say is that they will be focused on the individual issues that we’ve seen people face. We’re excited to launch them soon. We have a big problem with group days. They’re poorly executed, they rip you off, and are designed to get as many people in and out the door in as little time as possible. Cyclist in Ireland deserve better, so we’re working on something better. We understand that travelling to Dublin (where the majority of bike fitting services are) isn’t feasible for a lot of people, and something local is needed. Group Days are not the solution to that. Group Days often have over 20 people squeezed into an 8 hour day. That’s 24 minutes on each bike fit, excluding breaks for lunch. If you think you can get a bike fit done in that time, I have a bridge to sell you. No matter what the discount is, it’s not value. We’re doing something better. We’re travelling around Ireland, working with local bike shops and local cycling clubs so that we can be on location for a pop-up studio. The difference is that we don’t herd people into a room. We allocate the full time slot that we would in our own studio, and provide the same full service to you. Doing these pop-up locations throughout 2017 and to date in 2018, we’ve been polishing the process for managing booking. So along with the new services to be added, we will be adding online booking for these pop-up locations to suit this new model for us. So it will be easier for you to book, and find out when we’re going to be near you. If you’re wondering about the discounts that group days get, we’re aware of that. We still offer group discounts for multiple bookings — the difference is that you only pay less, not get a lesser service on the day. We’re very proud of the fact that we have an integrated online booking service, and we were the first bike fitters in Ireland to do it. Online booking doesn’t improve our bike fitting itself, but it makes life easier for you. If you’re spending money, we should be making it as trouble free as possible for you. To build on that convenience, we’re soon integrating our (surprisingly popular) bike fitting gift vouchers so that they can be used when booking online. We’re also adding new price tiers to our gift vouchers. The reason for this is that many gift vouchers are bought by spouses and friends of cyclists who aren’t necessarily cyclists themselves. As a result, we get a lot of questions about what to buy. The new integrated system guides you as to what each voucher will get you, so you get a better understanding of the best gift option for the lucky person receiving the gift. So rather than our current standalone gift voucher system, we will have it all working together. Most importantly, all of these updates will be coming together in one big update under a website redesign. When we launched Bike Fit Studio, we launched with a website that for its time was beyond what many companies in Ireland provided at the time. However, design moves fast, and we’re moving with that. To incorporate all of our new bike fitting services, our pop-up locations, our integrated gift vouchers, and small updates to our services that we want to highlight — we have a new website coming. Most importantly for our new digital experience, I have a lot of information to share. Over the last 4 years, I have noticed how poor the sharing of information is within bike fitting. There are questions being asked that I’m surprised the answers to don’t exist, or they aren’t easily accessible. For that reason, I have a list of areas I want (and feel I need) to write about to help improve cyclist knowledge. It’s not just about improving performance and aerodynamics, but more importantly it’s about protecting health, and preventing injury. The sports we all played growing up, and the motor patterns we develop have a huge impact on how we cycle. If we don’t fix them or adapt to them, we are risking serious injury that can have a serious impact on our quality of life on the bike, and more importantly off the bike. It’s only when you get an injury that you realize how important a healthy body is. So coming with our new website is a promise from me, that I will write here more often, and share the information that needs to be shared based on what I’m regularly asked, and what I regularly see as issues. I may not always be able to write down the solution, but I can certainly help more people to understand the problems, and how to work towards a solution — whether that involves a bike fit or not. Well, we’re already in our new location, which is a pretty big change. We’re close to finishing all of the digital and online stuff and putting it all together. As you can tell, we’re busy doing bike fitting, and so our website comes second to our priority of providing the best bike fitting in Ireland. However, we will definitely be ready with it all by the winter training season when we start to fix all the issues that popped up during the racing and sportive season. I promise! Thanks for reading our update, and if you have questions or suggestions, please just get in touch. If anything, writing this blog shows my commitment to writing! I’ll be back on a more regular basis.